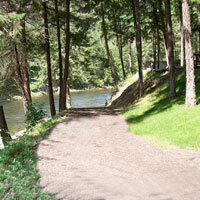 Relaxing views Riverhaven is situated on the Similkameen River, amongst beautiful evergreen trees. 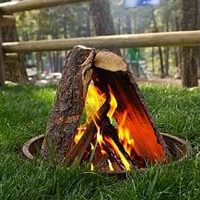 All Sites have firepits What is camping without peaceful evenings under the stars and S'MORES? Two Thumbs Up! 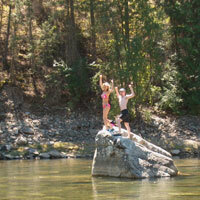 Consistently rated by guests as one of the nicest RV Parks in BC! The owners of Riverhaven RV and Motel welcome you to the nicest campground in the interior of BC, located in the beautiful Similkameen Valley, at 6165 Hwy#3 (Crowsnest Pass). 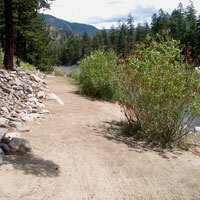 You are encouraged to sit back and relax with a good book, watch the river roll by, check out the wildlife, try your hand at fishing and take advantage of the swimming, rafting and hiking opportunities. Your hosts Lorraine & Ron Deo have provided everything you need to enjoy your stay. 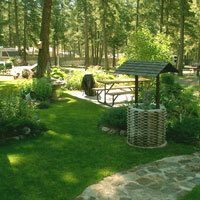 Campsite and motel are open from April1st - October 31st. 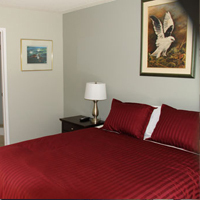 "Riverhaven has been visited by people from all over Canada, the United States and Europe. Many of them have come back year after year. I want to thank you all for your continued support."